The Blue Jays were unable to repeat their epic comeback Thursday on Friday. Here's an idea, don't give up so many runs. Tonight, Thomas Pannone looks to repeat his strong seven inning performance from last start vs. the Yankees. The last time the Blue Jays faced today's Rays starter, they scored 7 runs in 2/3 of an inning. Could the Blue Jays do what the Rays have been doing to them the last games and rout them? Here is today's game recap. Thomas Pannone had another solid start, throwing 6.2 innings and giving up 2 runs on 6 hits and walking three. He got out of a bases loaded jam in the 3rd inning after walking the bases full by striking out Willy Adames He retired 7 in a row at one point. Because Pannone's fastball tops out at 88-90MPH, location and movenent are incredibly important for Pannone. I see a spot in the rotation next year for Pannone. 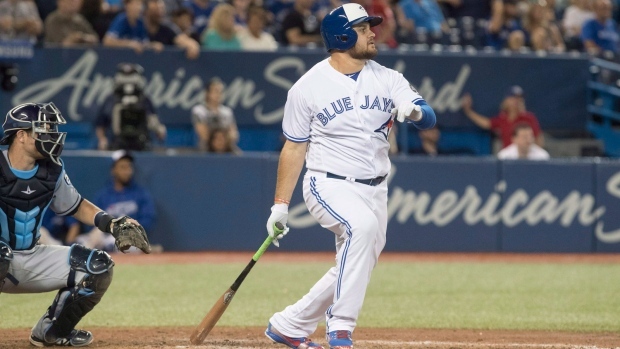 Rowdy Tellez continues to swing a hot bat. He was three for 4 today, driving in 3 runs and scoring one himself. Anthony Alford pinch ran for Rowdy Tellez in the 8th and scored the Blue Jays 5th run.